Bad movies can be really fun, especially when watched with friends over a few beers. 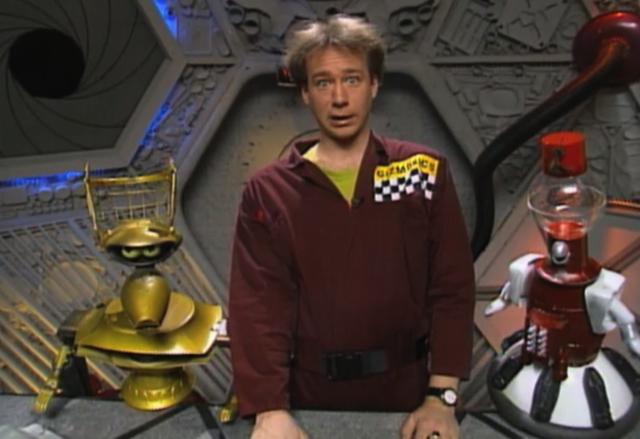 When Santa Claus Conquers the Martians was on Netflix over the holidays, I watched it with the level of glee I used to reserve for opening gifts. Obviously, this is one of my all-time favorite shows. Team Joel! Sometimes, though, bad movies are unintentionally and clandestinely brilliant (see the post on The Day the Clown Cried, the Jerry Lewis Holocaust movie). 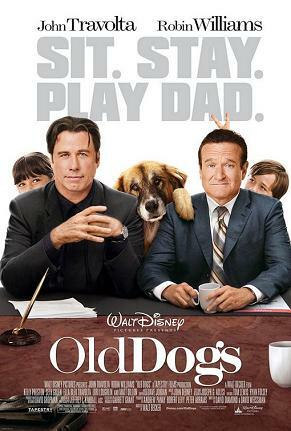 I’m a little late to the party in a review of Old Dogs, which came out in 2009, but I don’t think the true genius of this film has been discussed to the appropriate length, so I’m going to go into that very specific brand of genius right now. But I’ll preface with this: the film itself is not good. If you have any dignity at all, you probably haven’t seen it. The plot makes no sense, the technical aspects are poor, things that are supposed to be funny are not only not funny but also inappropriate verging on criminal – under any other circumstances, I would chalk this up to lazy screenwriting backed by incompetent filmmaking overall. Play dad. Get it? Instead of play dead? You know, like dogs do? Hilarious. I’ve recently discovered, however, that Old Dogs was conceived to be a different sort of film entirely, with an R-rating. Given the shade of dark comedy visible in certain scenes of the theatrical cut, I’m guessing the director’s original 120-minute version had a tone that was more on par with American Beauty or In Bruges. It must not have been as good as these films, though, because test audiences didn’t dig it. Like, at all. What to do? 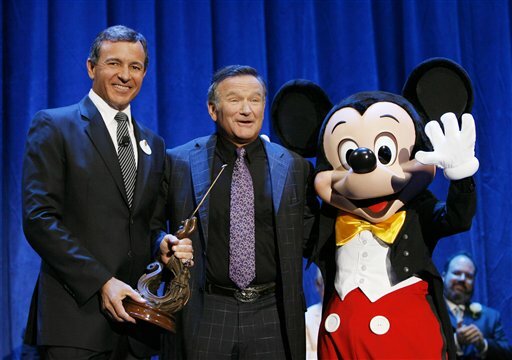 They have this cast – John Travolta, Robin Williams, Seth Green, Rita Wilson, Matt Dillon, Bernie Mac, Amy Sedaris – all of whom audiences love to see. So they missed the mark putting together the final product, but with the power of editing, they can have a second chance! And they did! They took that ludicrous idea and made it happen! For some of the scenes, you can tell all they did was add a couple of fart noises. For others, the obtrusive soundtrack of xylophone scales took care of changing the mood from quirky-but-dangerous to Three Stooges-like vaudeville. The brilliance of that just boggles my mind. One of my favorite scenes is also one of the film’s most irresponsible. The kids get into old dad’s (Robin Williams) medication and end up spilling it, mixing it up with John Travolta’s medication. They then re-bottle the pills haphazardly, resulting in a wacky mix-up, because these pills cause crazy side effects! Kids! This hilarity is the result of taking prescription pills that aren’t yours! Fun, right? 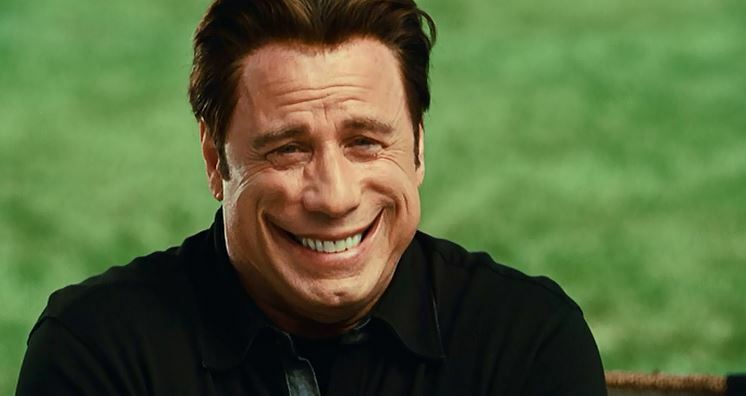 That Joker smile Travolta’s sporting is supposed to be the result of taking the wrong medication. My favorite thing about this is that the scene plays out pretty normally aside from the digitally added smile. It’s clear that this scene was shot with a completely different tone in mind, but the genius editors saw a place to shoehorn in some (arguably) kid-friendly comedy. There’s another part where Travolta finds out his dog has died (spoiler!) and the scene ends with a brief shot of his sad face that abruptly cuts away. I’d put money down that says in the original version, he pulls out a gun right and wildly points it at every person in the room while delivering an F-bomb-laced monologue about how that damn dog was the only thing he had left, his one true, honest friend in a world here he himself is becoming obsolete. If anyone can get ahold of the director’s original cut, it should play in film festivals followed immediately by the theatrical version. You could totally do it, the theatrical version is less than 90 minutes long, and people will go bananas. The two versions screened back-to-back could make this ridiculous flick a cult classic. How else could Seth Green being molested by a gorilla possibly be considered funny? Nothing about this scene was family-friendly. Nothing. The verdict: Old Dogs is awesomely awful, in an awfully awesome way. I want to know who was in charge of the transformation from R-rating to Disney, because I am in love with his/her mind.